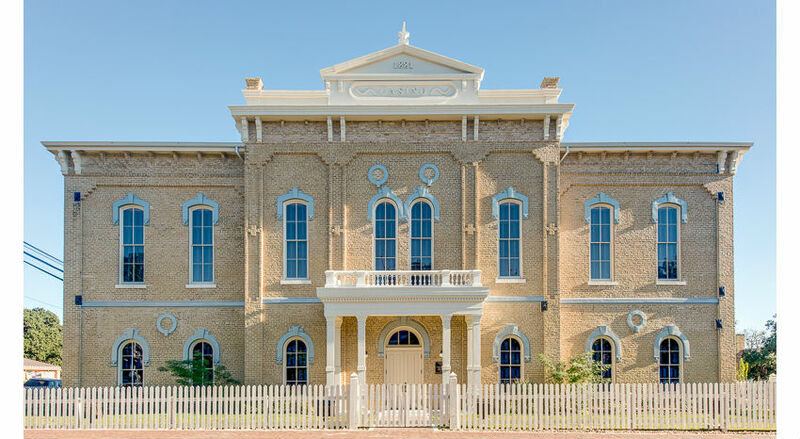 The recent restoration of the Casino Hall in La Grange, TX, was a big deal for Fayette County. Built in 1881 by German immigrants, the building was originally a school, but has since served as a fire station, city hall, library, and a senior center. All of these different uses of the building involved significant modifications of the original structure. GW Cernoch Works was asked to furnish reproduction wood window sash, as part of a larger project to restore the original 1884 exterior and reinstate the upstairs theater to its original size and layout. This massive project was finished just in time for the hall’s 135th anniversary. This entry was posted in Architectural Conservation, Reproduction, Window Restoration and tagged Doors, Texas, Window Restoration. Bookmark the permalink.